Having trouble thinking of gift ideas for those close to you? Our birthstone gift guide will help solve all of your gifting troubles, whether you’re shopping for a parent, grandparent, sister or friend. 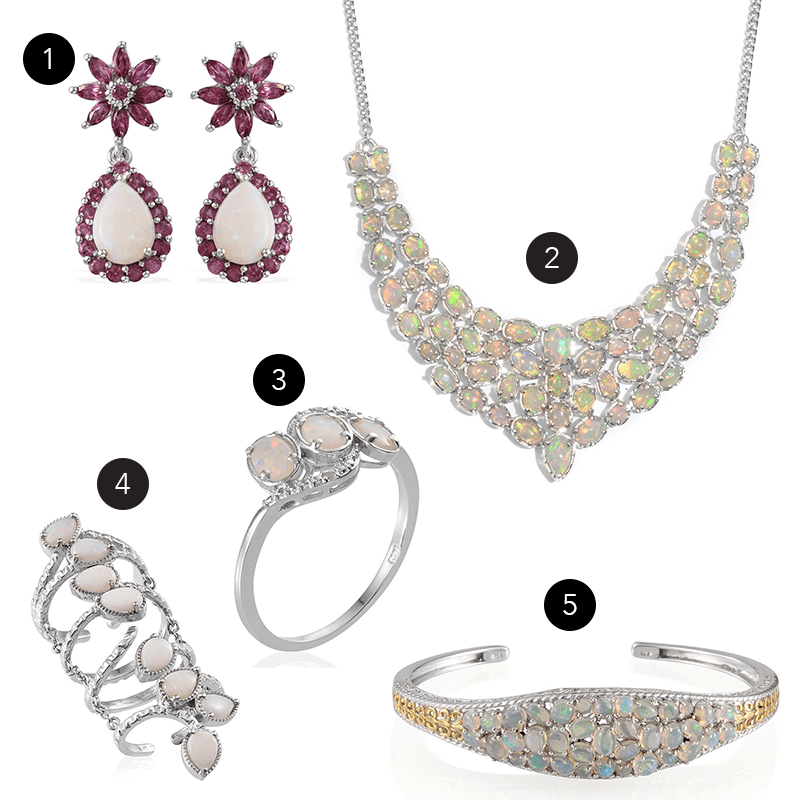 Pictured below are pieces of birthstone jewelry that are examples of perfect gifts for that special person in your life, no matter what month they were born or your budget. We have rings, pendants, bracelets, necklaces and more to create a wide array of options. Let’s get shopping! Whether you are shopping for a belated holiday present, some New Year’s Eve bling or simply a fashionable treat to kick off the new year, garnet birthstone gifts are timeless. Available in a variety of metals, styles, and sizes, you can find the perfect piece to suit yourself or others. In the month of love, don’t leave your sweetheart hanging! Check out our amethyst rings, bangles, earrings and more that make for great Valentine’s Day gifts. Treat your favorite ladies like mom, grandma or your sister to a birthstone jewelry gift that will make them smile all year long. It should come as no surprise that Pisces, a water sign, has a beautiful blue birthstone for the month of March to match their water-loving spirit. Aquamarine makes for great birthstone gifts for all ages and is a classic stone that will never go out of style. As everyone knows, diamonds are a girl’s best friend! Use this mantra to splurge on yourself or treat your friend with an April birthday to a lovely piece of jewelry. 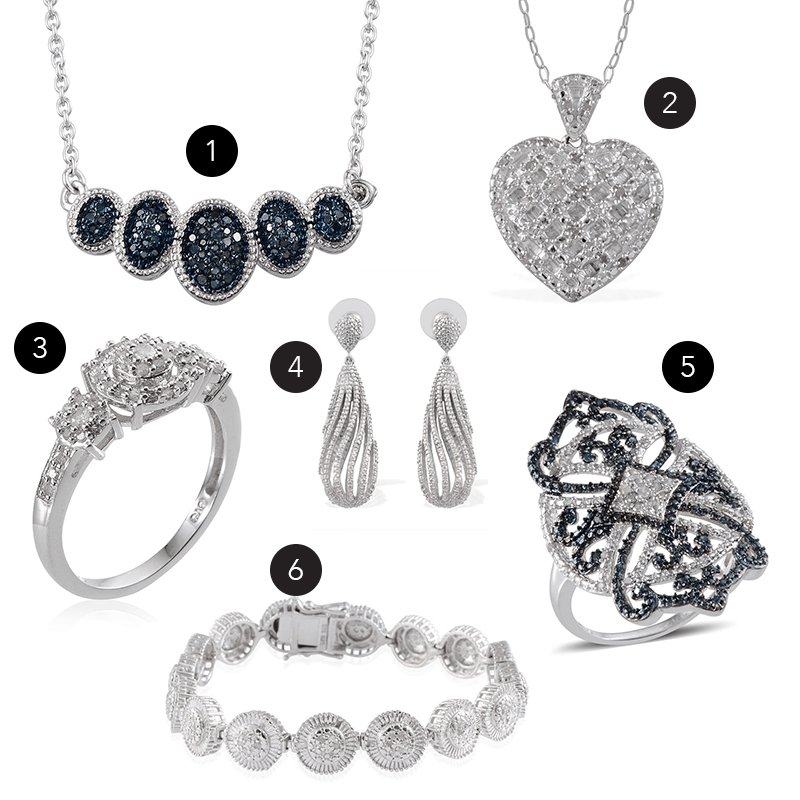 From elaborate heart pendants to bracelets and drop earrings, there is something to match every personality. April showers bring May flowers, and the beautiful green hue of emerald reminds us of everything in bloom at this time of year. 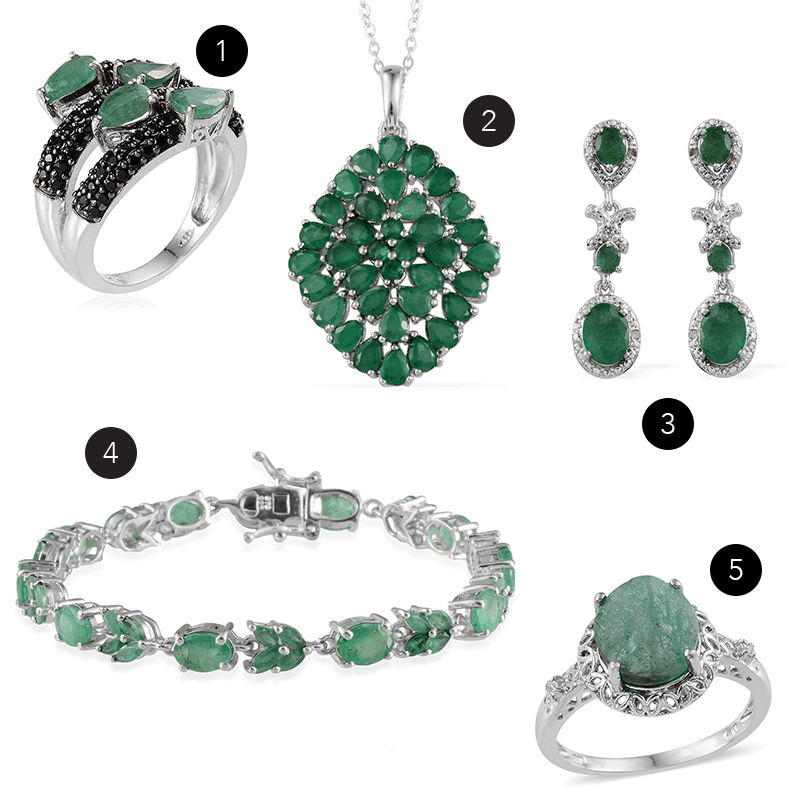 Emerald birthstone gifts are perfect when you’re looking for an antique-inspired design or simply a piece of jewelry in a bright and bold jewel tone. 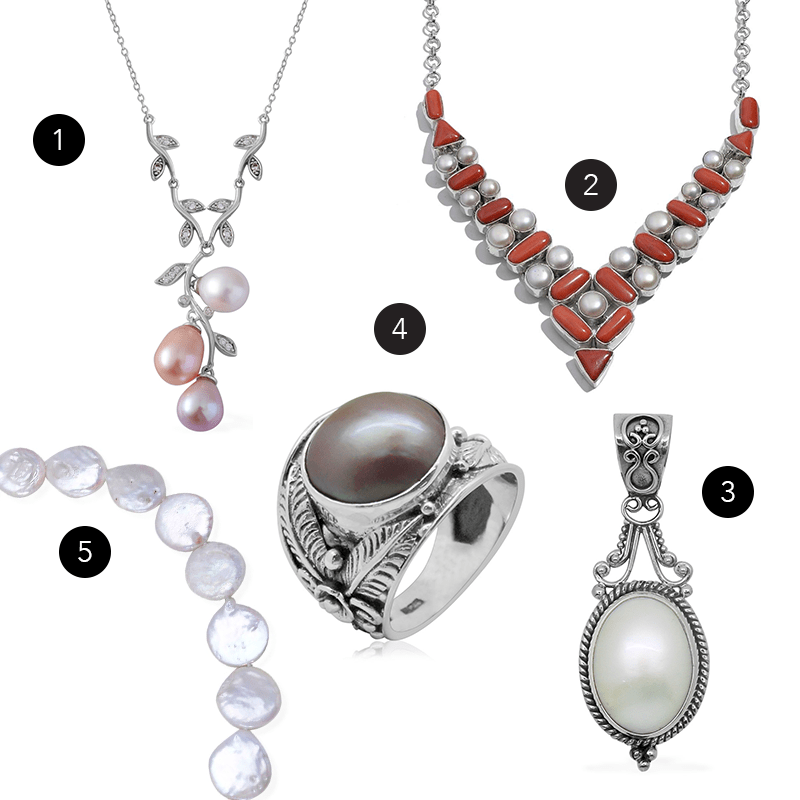 Pearls symbolize timeless, classic elegance. Whether they stand alone or are combined with other precious gemstones, they add an element of vintage flair to any outfit. With a variety of colors and styles, you can’t go wrong with pearls as a gift for any June birthday, anniversary or special events such as a baptism or christening. You’re never too young or old to own a set of pearls! 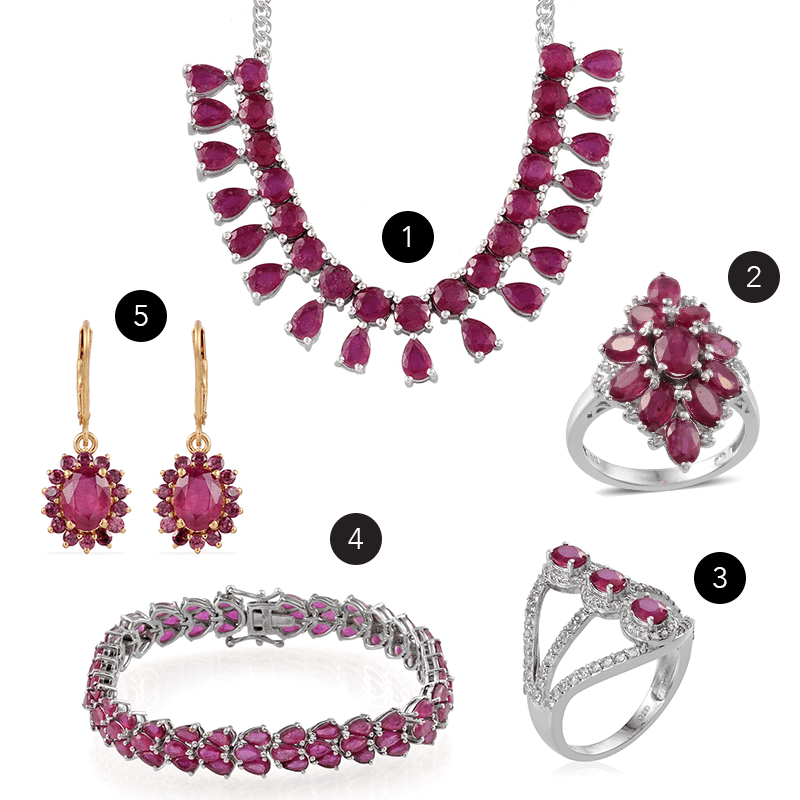 Ruby sizzles with sparkle and shine, just like the hot summer sun in the month of July. Take your look up a notch or give the ultimate gift when you find a ruby necklace, ring or bracelet with just the right amount of detail and pizazz. Amidst the craziness of preparing for back to school and the end of summer, don’t overlook the important people in your life with August birthdays! 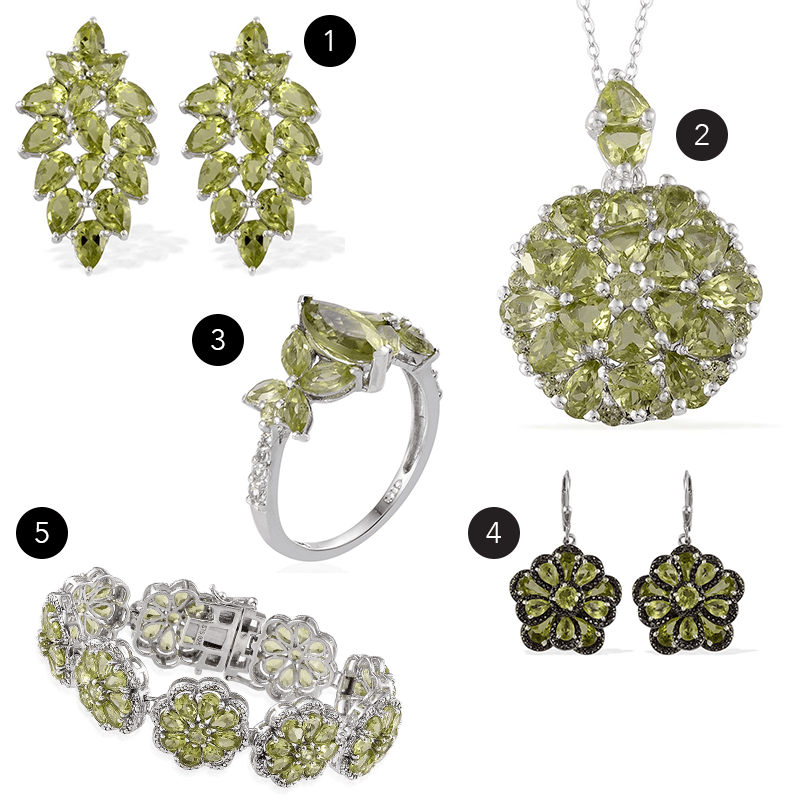 Peridot shines as a birthstone gift in fabulous jewelry pieces like pendants, earrings, and bracelets. Nothing beats the beauty and mystique of sapphire to celebrate a September birthday or important event. The deep, rich blue of sapphire flatters every skin tone and hair color. 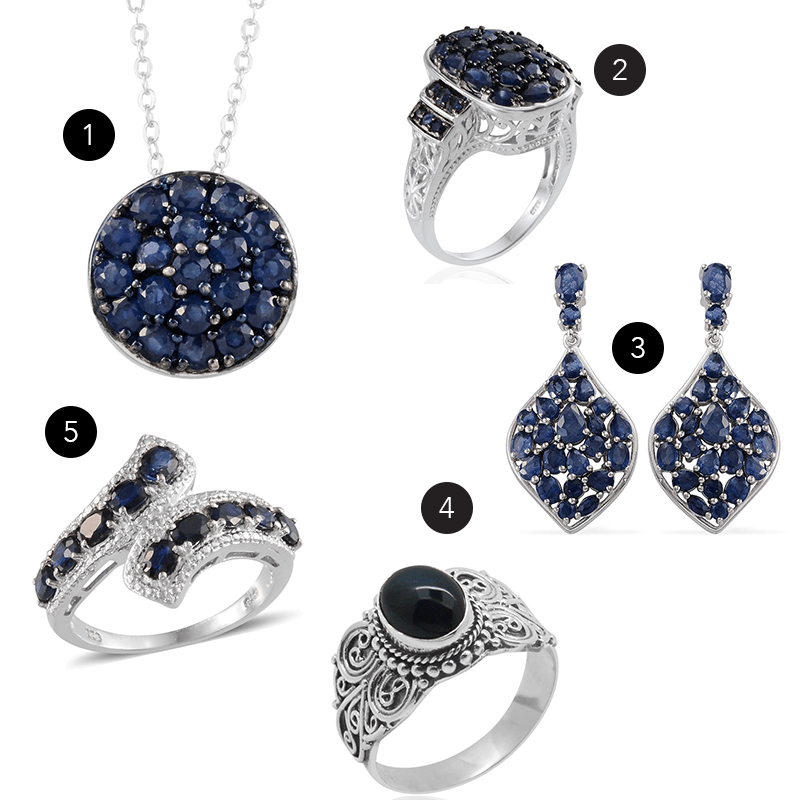 Surprise your mom, sister, grandma or friend with a breathtaking piece of sapphire jewelry this September. Celebrate with opal in October! Explore beautiful bangles, stacked rings, statement necklaces and more when you search for gifts with Shop LC. Our expertly crafted options come in a variety of finishes like white gold, silver and more to suit every preference for birthstone gifts that stand out from the crowd. November brings colder temperatures, the possibility of snow showers and even more gorgeous jewelry! 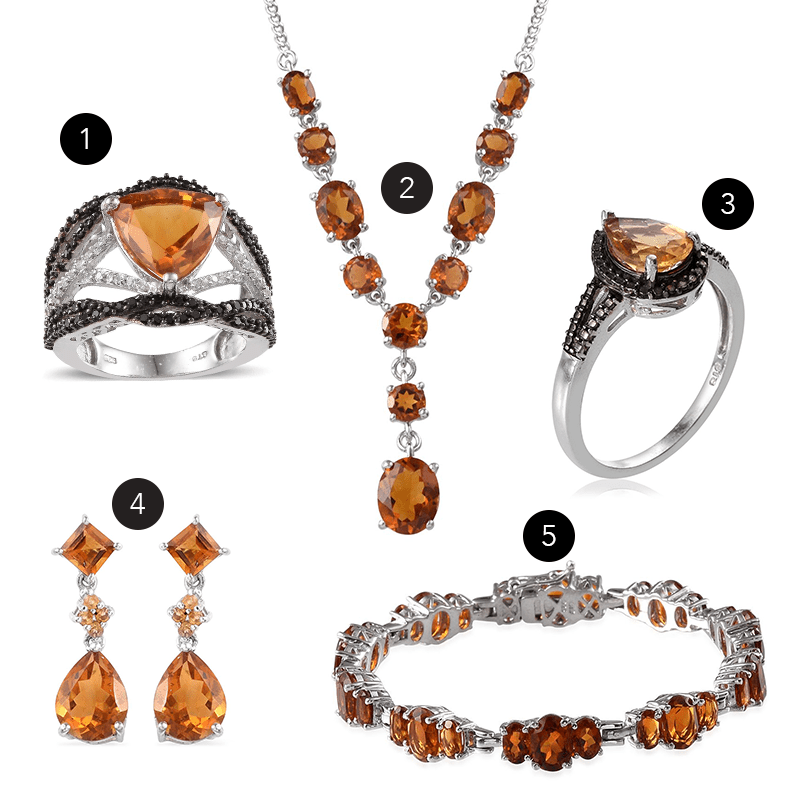 Citrine pieces make for excellent birthstone jewelry gifts, whether the special person in your life prefers rings, earrings or stylish long necklaces. When December arrives, the beautiful hues of tanzanite are sure to add the perfect amount of sparkle to any holiday party outfit! 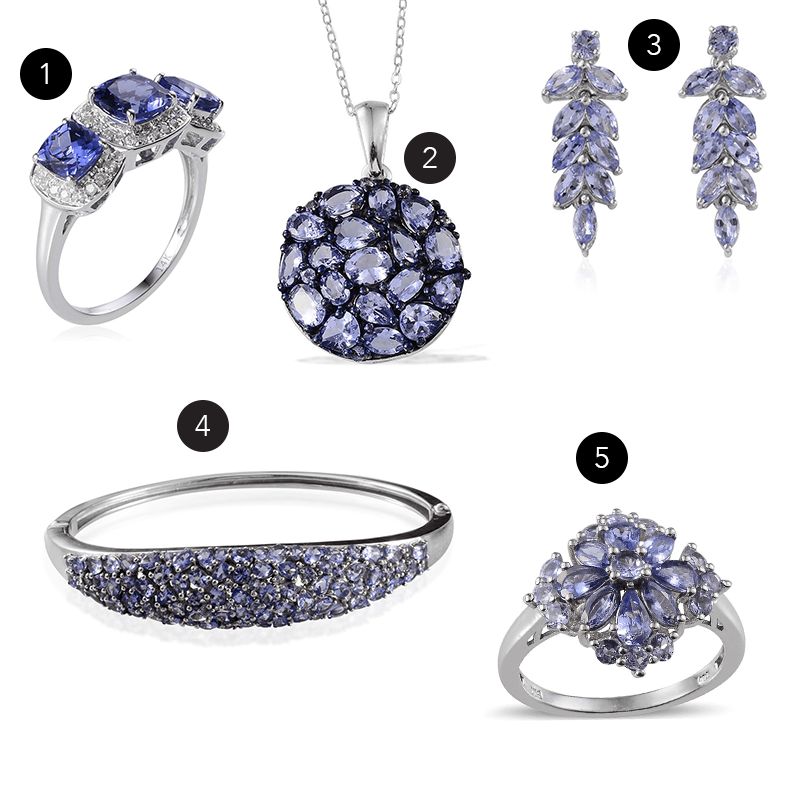 Buy tanzanite gifts for Hanukah, Christmas, or to celebrate the birth of a dear December friend or family member. You can never go wrong with such a unique birthstone! Shop LC’s personalized birthstone gift guide will help spark some gift ideas for the holiday season, birthdays, special events or any time of year. Check out more great gift ideas and holiday savings in our exclusive holiday gift guide! For a list of anniversaries by year and birthstones by month, be sure to visit our list – guaranteed to make gifting a little easier! What is your birthstone? Share with us in the comments below and let us know what your favorite piece of birthstone jewelry is!